In what way are Christians today the ‘salt of the earth’ or ‘the light of the world’? Has the Law been abolished or fulfilled by Christ? Does this mean that we no longer need to adhere to the Ten Commandments, or does it mean that we are to understand them as Jesus interprets them? Jesus summarised his basic themes when he spoke his Sermon on the Mount. The memory of what took place 2,000 years ago is preserved in the Church of the Beatitudes, built by the Italian architect Antonio Barluzzi in1937. 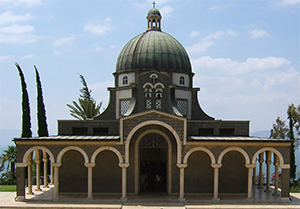 This church overlooks the Sea of Galilee, having an octagonal shape – symbolic of the eight beatitudes. There’s also a dome at the top, representing the Resurrection. The church was, and is, beautiful – no question. But what was even more significant to me was to sit on this mountain. To close my eyes, which became quite moist, and imagine what it would have been like in Jesus’ day. In my heart I heard his voice talking to the crowd; talking to me. Teaching me, sharing with me. I said a prayer on that mountainside, as I sat. I prayed on behalf of us all – that we would not only hear his voice daily, but truly listen to what he has to teach us. To show mercy toward others; to humble ourselves; to see God in the faces of others; to reach out to the poor, the marginalised. For it’s only then that we’ll be blessed. Yes, it was only a mountain. But it was the same mountain where our Lord once sat. For today, he still wants us to respond to his teaching – all of it. The Sermon on the Mount spoke of more than just the Beatitudes. It was all radical teaching. It still is! All these thoughts flooded through my mind as I sat on the mountainside – in silence, alone. I long for righteousness, goodness, purity of heart. 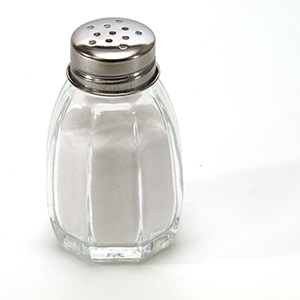 I so desire to be salt and light; to not worry or judge; to ask, seek, knock. God is with us, always! Today, find a special place to just sit and place yourself on a ‘Mount of Beatitudes’. Hear Jesus speak. Enjoy the beauty of his voice. Then make all he says to you a reality in your life.